Today is the final day to enter the Virtual U.S. Open Qualifier for your chance at a golf trip to next year's U.S. Open at Pinehurst. While you might not be able to qualify for the top 156 (plus ties) to advance to the championship rounds, one lucky player in the Qualifier will be chosen at random to win a dream golf trip for two to the 2014 U.S. Open at Pinehurst #2, so be sure to enter and post a round today for your chance to win! 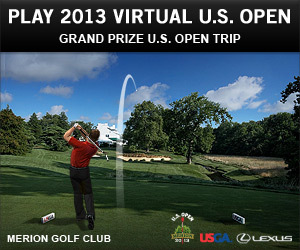 *Virtual U.S. Open Qualifier tournament is free to enter and runs thru 6/30/13. See rules for details. WGT is previewing the closing holes at Congressional Country Club, site of the 2013 AT&T National event on the PGA Tour, featuring top PGA players Jason Day, Rickie Fowler, Hunter Mahan, Justin Rose and Adam Scott. Hole 18 is one of the most memorable on the PGA Tour, a par 4 with a challenging approach shot to the peninsula green surrounded by water and the gallery of fans in front of the clubhouse. The approach is downhill and the green runs right-to-left with a tier, so you can try a variety of shots to run the ball up or try to stick it close near this popular Sunday hole location at Congressional. Play Congressional Hole 18 on WGT free without signup. Sign up free for WGT and join the millions playing online golf on championship courses like Congressional, Merion, Pebble and St Andrews, including the free Congressional Challenge this week with chances to win double WGT credits. Hole 17 is a shorter par 4 where you may want to lay-up in the larger fairway to avoid a downhill approach shot, as you want to make sure you're as close as possible to the hole with this tough ridged and sloped green where 3-putts are common. Play Congressional Hole 17 on WGT free without signup. Pretend you're on the PGA Tour and play this free tournament on WGT, while you watch the pros play the same course during the AT&T National. 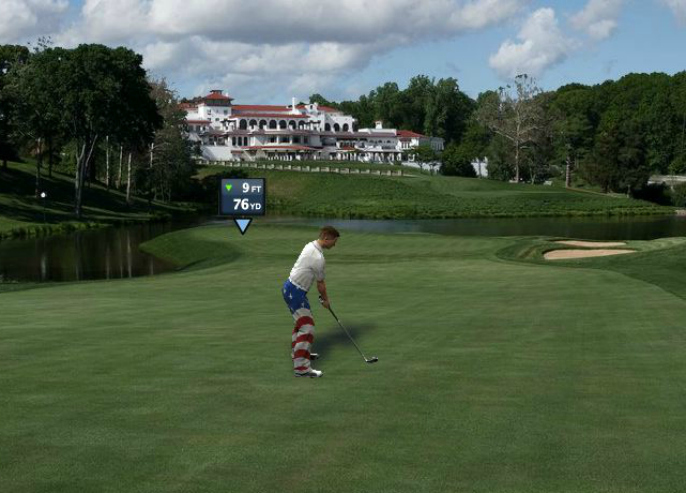 Congressional Country Club is the site of the AT&T National PGA Tour event, and you can play all 18 holes this week on WGT. Compete against players in your same WGT tier, and the top 70 scores in each tier earn double WGT Credit prizes. 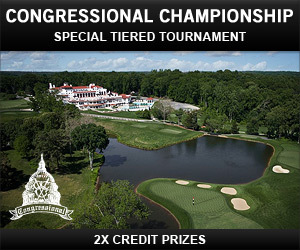 *The Congressional Championship tournament is free to enter and runs thru 6/30/13. See rules for details. Check-out the latest on WGT, including player-requested improvements to WGT virtual Country Clubs, special golf tournaments with cool prizes, plus an all-black limited-edition TaylorMade R1 Driver. 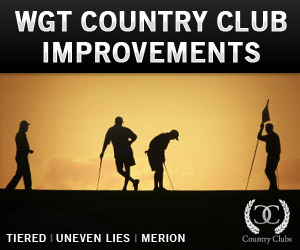 There are tens of thousands of virtual country clubs on WGT, and based on member feedback, we've just made WGT Country Clubs even better, with new tournaments options for Tiers, Uneven Lies, and single-play closest-to-the-hole...plus the availability of U.S. Open course Merion for Country Club private tournaments. WGT Country Clubs are the best way to always have a group of online friends for regular games, and there are always clubs looking for new members, so join in the fun! 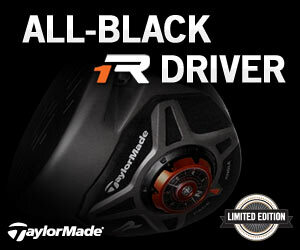 The hottest driver on the PGA Tour is available in all black for a limited time on WGT. This top-performing TaylorMade R1 virtual driver unlocks for top players at Level 11, Level 48, and Level 93. Note that the Black R1 driver unlocks at Level 93 while the White R1 driver unlocks at Level 98, but only for a limited time this summer. 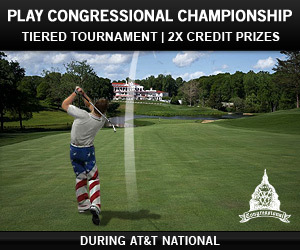 Play the short Congressional Championship virtual tournament on Congressional Country Club during the AT&T National, from Thursday 6/27 thru Sunday 6/30, and compete against players in your same WGT tier to win double WGT Credit prizes. 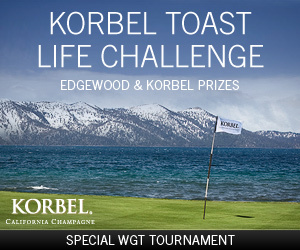 Korbel and Edgewood Tahoe are running an amazing virtual tournament for WGT players in the USA, called the Korbel Toast Life Challenge. The sweepstakes prizes include: airfare, hotel and golf for two at Edgewood Tahoe, a custom Korbel golf bag, and other Korbel merchandise. Don't miss this one! ...and be sure to check back in July for more special tournaments, plus a free rental weekend on WGT too! WGT is previewing the closing holes at Congressional Country Club, site of the 2013 AT&T National event on the PGA Tour. Hole 16 is a 580-yard par 5 that's a birdie opportunity, however you'll need an accurate drive to avoid the fairway bunkers, and a well-placed lay-up, as the elevated green is surrounded by a closely-mown area that will reject misplayed shots. Play Congressional Hole 16 on WGT free without signup. WGT is taking a closer look at the closing back 9 holes at Congressional Country Club, site of the 2013 AT&T National event on the PGA Tour, featuring top PGA players Jason Day, Rickie Fowler, Hunter Mahan, Justin Rose and Adam Scott. Hole 10 is a challenging start to the back 9. It's a par 3 where players must carry water the entire distance and shots on the front of the green are likely to back up into the water. Depending on the hole location, shots to the right side will normally funnel back to the hole for a birdie opportunity. Play Congressional Hole 10 on WGT free without signup. 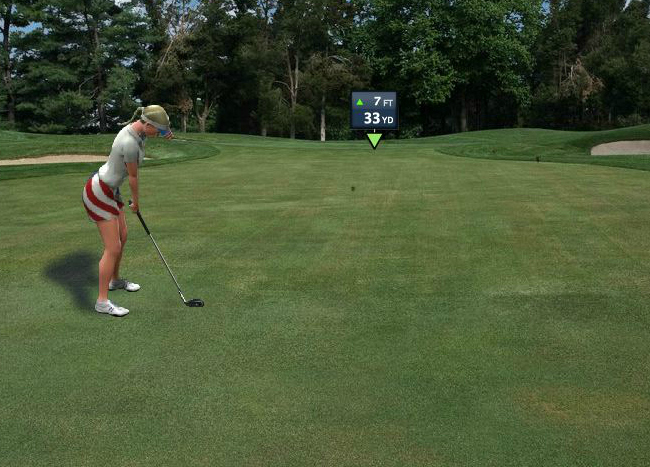 Check out these video replay highlights from top WGT players in the Virtual U.S. Open on Merion. 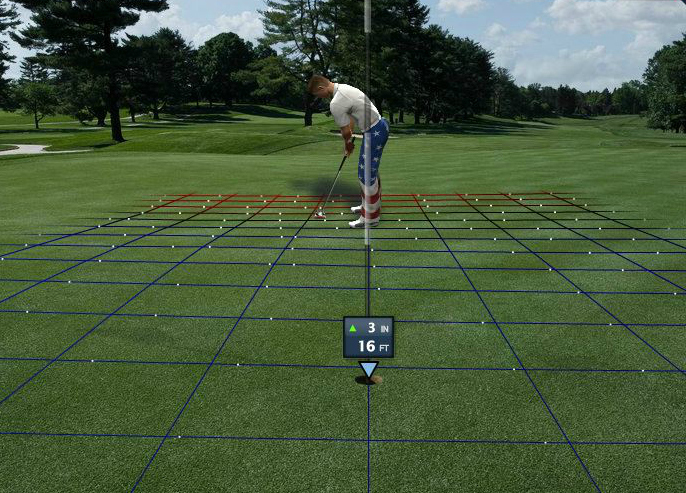 And there's still time to make some of your own highlights in the 2013 Virtual U.S. Open Qualifier. Be sure to enter for your chance at a drawing for a golf trip for two people to next year's U.S. Open at Pinehurst #2. 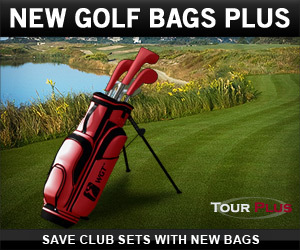 Get the new WGT Stand Bag Plus and you can save up to four different club sets in each bag. Many top players like to use different club sets for different WGT courses or types of games. The new WGT Stand Bag Plus gives players to option to create and save up to four club sets, so the right clubs are ready to go when you are. Available in plaid, red and white/blue. You can choose to equip or un-equip your golf bag in your game settings, and it's visible in all game types but only on tee shots. Log in and play WGT today, Sunday 6/16 and get a free WGT Shot Pal. It's Father's Day in America so we're honoring all the dads who play WGT. WGT Shot Pal helps you fine tune your swing power with ruler increments below the Swing Meter, especially helpful for precise approach shots. Remember, you can always choose to disable Shot Pal using the Settings menu in the upper-left corner of the game. Note: unlike Putter Pal, Shot Pal doesn't show the exact percent markings on the swing meter ruler, because shot distance isn't as directly related to shot power, like putting distance is related to putting power. This is due to shots involving a range of factors, including club type, swing type, lie, wind, landing surface, etc. *Special offer for WGT players who log in and play WGT on 6/16/13, receive one free WGT Shot Pal good for 200 hits.